Woo hoo! Back for another round of Blog Hopping with The Pocket Source. If you're in to Project Life, have you visited The Pocket Source yet? 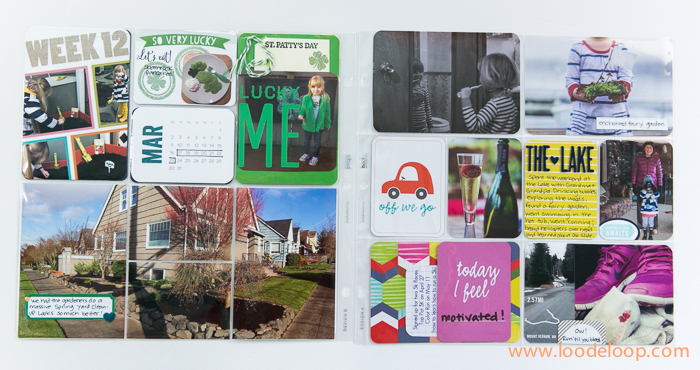 This is a site dedicated to all this pocket-scrapbooking. None of those pesky traditional scrapbook layouts to wade through. All pockets all the time. If you take a look around there be sure to friend me, too! I may or may not be mentioning The Pocket Source next week, too. So be on the lookout! For those of you who haven't been here before, I'm Melissa. Welcome! 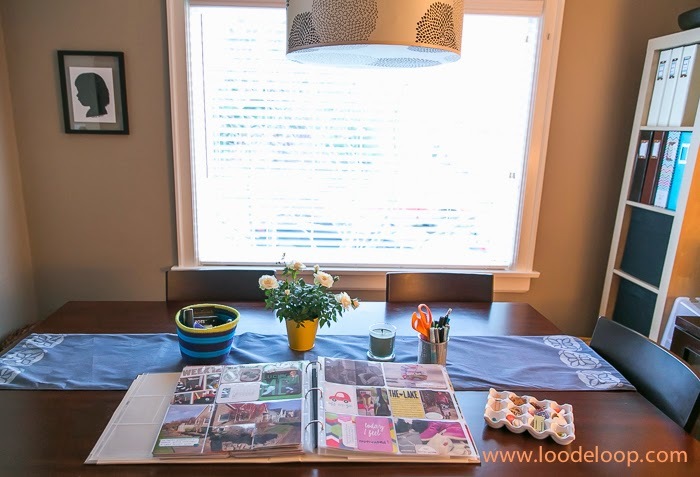 I'm an Etsy Shop owner, mom to an almost 4 year old daughter, camera lens addict, and obsessed with taking photos and actually PRINTING them thanks to Project Life and the pocket scrapbook style. Here's 34 More Things you should know about me. 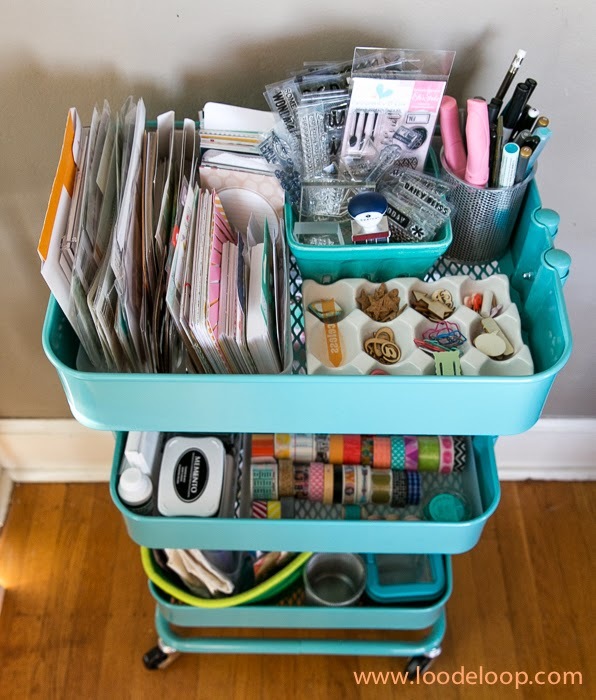 This time around on the Blog Hop the topic is organization. 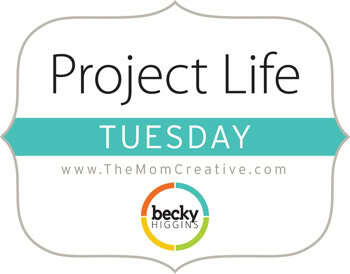 I want to share with you how I organize all of my Project Life goodies and where I work. You should be coming to me from Stephanie's blog Bee Tree Studios. And the next stop on the hop is Lisa's blog Chaos Meets Creativity. But, while I've got you captive here, on to Week 12! 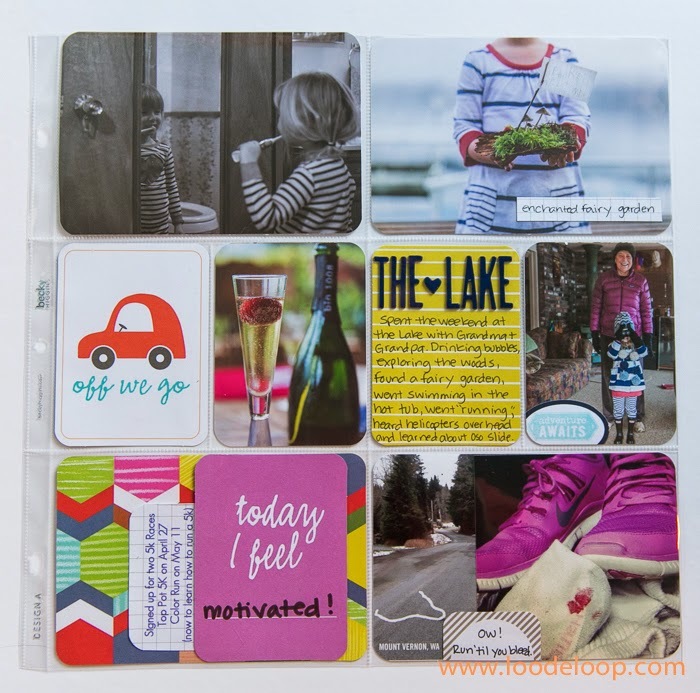 Project Life Happy Edition kit. (Yes, I'm one of those nerds that stalked the HSN page for the first sign of this kit being offered for sale and received it 3 days later. Sadly, it is sold out now.) And a little bit of the Project Life Sunshine Edition Kit . I took a panoramic on my iPhone of our house just after we had a big spring cleanup done. I printed this as a 6x12 inch print and cut it up into the pockets to fit. 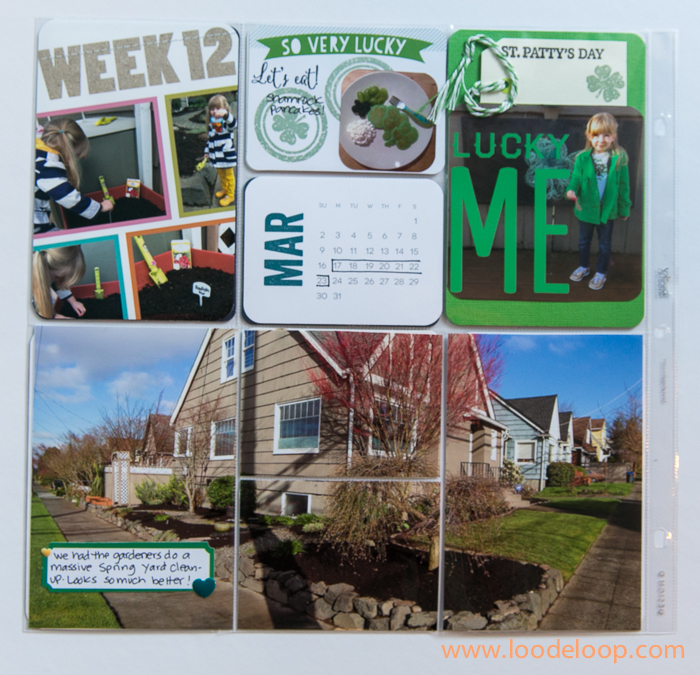 I like the way it fills up the awkward Design D for me (my least favorite page protector perhaps) and documents the way our house and neighborhood looks now. The right side is dominated by our weekend trip up to The Lake. Pretty simple stuff here. Next to no embellishing. Easy Peasy. I tried something I've been meaning to for months now. 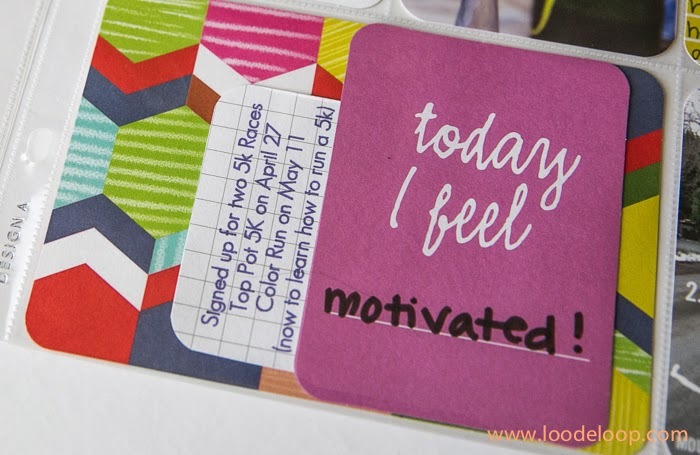 That is using the Silhouette Sketch Pens to add journaling to a piece of 3x4 grid paper. It's not that I hate my handwriting, or that it's easier (it isn't). Just wanted to try something new and I may play with this notion more in the future. Now, on to how I organize my Project Life work space. 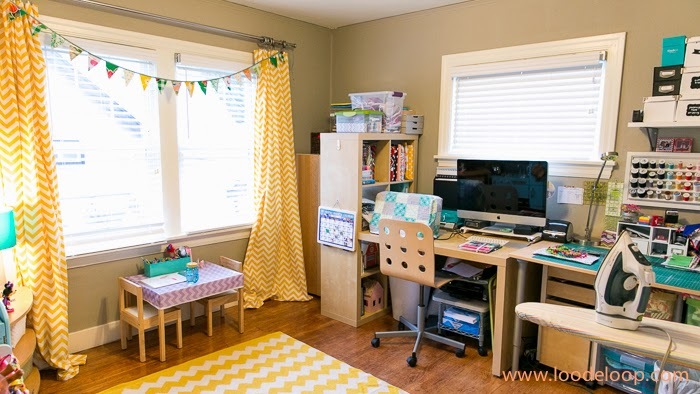 Although I have a nice dedicated sewing room/craft room/playroom in the house, somehow (I'm sure to my husbands dismay) the Project Life stuff is all in the dining room. 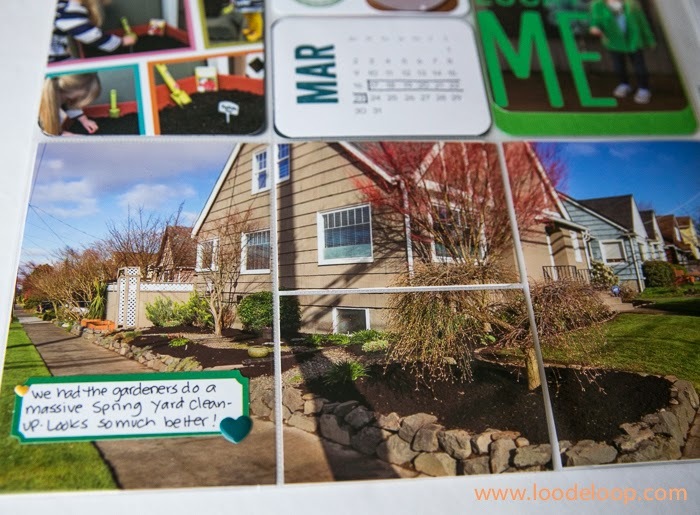 I love to make my weekly spreads at the dining room table with life swirling all around me. This does mean that sometimes I have to scramble to clear the table to actually EAT at. 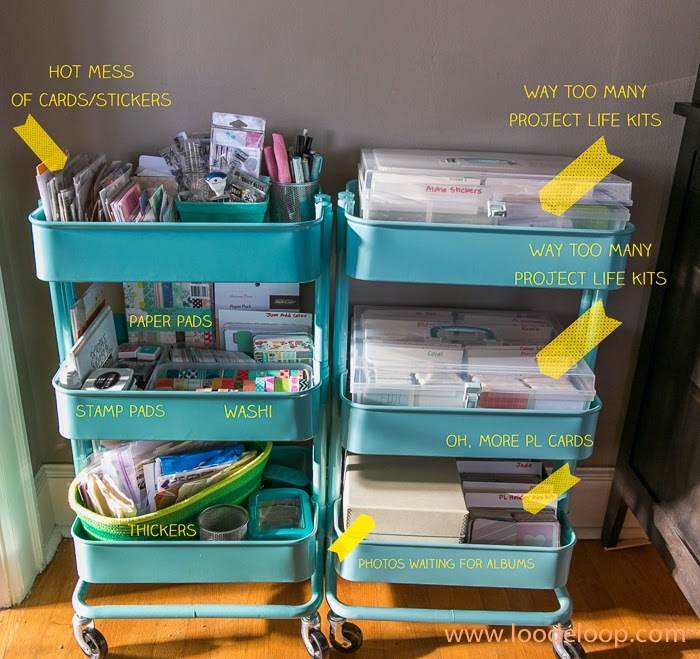 I use the Close To My Heart medium organizers to store almost all of my Project Life core kits. I say "almost all" because they don't actually all fit in those two containers. (Hangs head in shame.) My weekend project is to portion out a good chunk of these cards to sell partial kits. Things I will be selling: two 1/3-kit lots of Honey, Kraft, Kiwi and Strawberry, random bits and pieces from Studio Calico kits, stamps etc. If you are interested, I can post the lots for sale up on the blog once I have them organized. Or, you can leave a comment on this post if you are looking for any of the above kits. You'd think I would have taken time to organize that hot mess of cards/stickers/photos on the top left. But, no. Project REAL Life. So there it is. My version of organization for Project Life. It works for me for now. What works for you? I mean, besides curbing your purchases. Because we all know that isn't gonna happen. I hope you've enjoyed this blog post. If you would like to keep up with my future Project Life posts I suggest following me on Bloglovin'. And make sure to continue on The Pocket Source's Blog Hop and leave comments on the blogs you find inspiration from. Your next stop is Lisa's Blog. Thanks for stopping by! 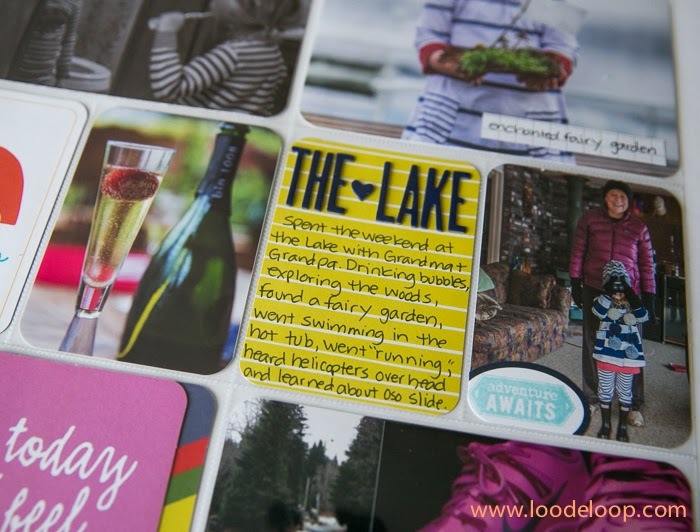 I've linked up with The Mom Creative and you can, too! I love your Raskog's! I wish I had a place to store them because it looks like they really work well for PL storage! I love them, too. They are so versatile and I find myself constantly rearranging to accommodate lots of different things. your room is wonderful!! i would love to sit and go thru your carts!! 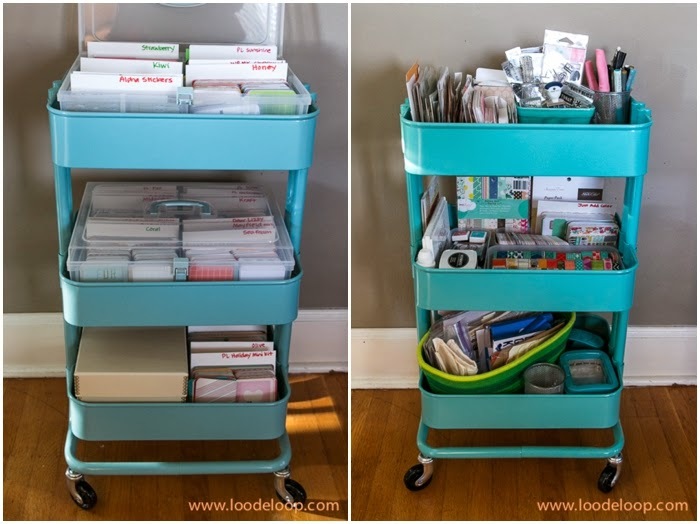 I soooo totally want one of those carts!!! Beautiful pages too, I just love seeing Sunshine in use!